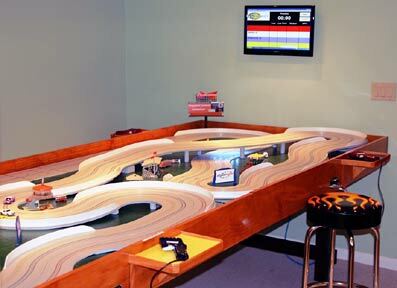 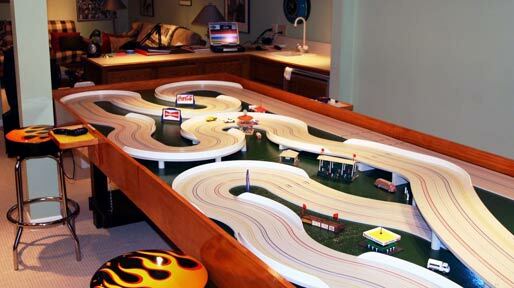 Another great basement HO track in Mount Clemens MI is the 4 Lane "JMG International Speedway". 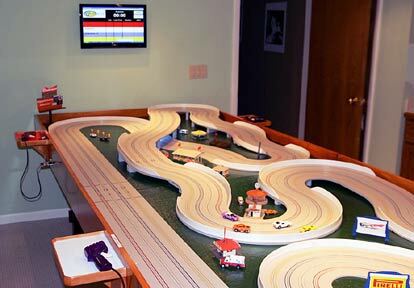 This track features a challenging routed track with plenty of curvy bits, a 0-30 volt 10 amp variable power supply, a Track-Mate timing system with wall mounted display, Track-Mate drivers stations with reversible direction switches and a classy pit table with tools and compressed air. 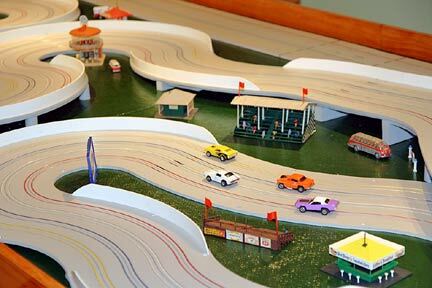 This track owner is highly interested in getting some club racing going on his track - if interested contact John on : jmgspeedway@att.net.